While situated right in town, you’ll find the Suncrest’s condos for sale in Branson peacefully located off of a quiet street. These condos are modestly priced, and perfect for a first-time buyer or those looking for an investment property or vacation condo in Branson, MO. 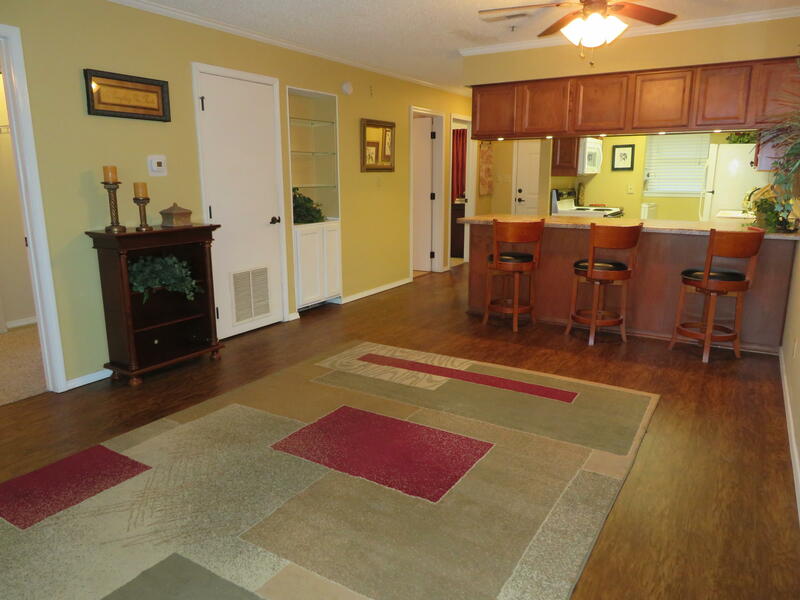 The Suncrest’s condos often come furnished and move-in ready. These properties also often feature all the necessary appliances, including washer and dryer. This lovely condo development in Branson, MO includes a fully equipped clubhouse and heated pool. You’ll also be just blocks away from the famous 76 Strip, where you will find entertainment and activities galore! Branson is well known for its entertainment venues, including those in the famous Silver Dollar City. While the Branson area is known for its entertainment venues and activities, it is also a well known family-oriented area. The schools are highly rated, and there are colleges such as the College of the Ozarks to complete a well-rounded education offering. The Branson area is also a prime spot for outdoor enthusiast. Because of the lakes and other outdoor venues, you can go out and enjoy any number of activities. Choose from boating, fishing, and swimming, or dry land activities such as camping and hiking. There are also great parks to explore, and the area boasts 10 splendid golf courses. Find Your Condo in Branson, MO Today! Whether you want to purchase one of the condos for sale in Branson’s Suncrest development or homes located in another subdivision, the team at Sunset Realty Services is ready to help. At Sunset Realty, we consider ourselves to be a little different that the rest of the crowd. We want to treat our clients like family, not just another sale. We employ core values within our business that are built around family so that we all benefit when working together. While we do treat you as a family member, we are also very good at what we do. We have many years of experience buying and selling properties in our wonderful area and we endeavor to make sure all of your real estate needs are met with the best service possible. Whether you want to purchase a home for a full-time residence or as an investment or rental property, we can help. We are even very experienced in helping those with an interest in rental properties—whether you want to buy or sell. To find out more about any available properties or if you want to sell your current property, please give us a call today!